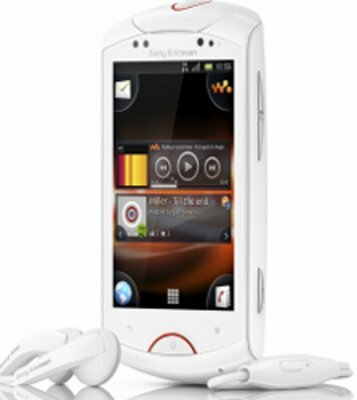 Sony Ericsson has announced the launch of 'Live with Walkman' smartphone in India. The Android-based smartphone is priced at Rs 14,549 approximately. Already available online in Indian for quite some time, 'Live with Walkman' features 1GHz processor, Android 2.3 Gingerbread OS, 3.2 inch display, 5MP rear camera and front camera. The phone is also speculated to get Android 4.0 update in the future. Measuring 4.2 x 2.2 x 0.6 inch and weighing 115 grams, the phone has an internal phone memory of up to 320 MB with 512MB RAM and expandable memory of upto 32GB via microSD memory card slot. Some other features include 3G, Wi-Fi with DLNA support, Bluetooth with A2DP, aGPS, FM Radio with RDS, and 3.5mm audio jack. 'Live with Walkman' ships with a 1200 mAh battery and is available in two colours -- black and white.